1) There’s BRANX, who gets me funk stepping all around my living room. 2) Then we have The Polish Ambassador – he’s always there to put a smile on my face with his delicate beats. 3) Finally, SOPHIE’s ‘Lemonade,’ bass shakes my bones and interludes of some sort of Sailor Moon-esque sample makes me giggle. Very experimental, but worth the full listen. Two weeks ago Goldroom announced “Til Sunrise,” his first new original release since dropping “Embrace” in September of 2013. 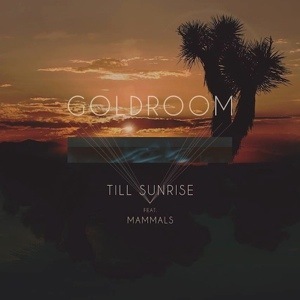 Featuring vocal contributions from Mammals, Goldroom finally reveals the track today after making the vocal stems from the track available for download to give fans the opportunity to “Premix” the song. Let me tell you… the track is spectacular! The soundcloud tags are spot on with #dreamwave, #chillwave and #daytimedisco and #chillwave. The whispery vocals and tropical sounds let you drift away to paradise. Give it a listen! Thoughts? Hey Readers! I’m teaming up with SOL REPUBLIC and giving away a free pair of Relays – color of your choice. Just comment below with your favorite song and your Twitter handle if you have one. I’ll pick the lucky winner at random next Wednesday, May, 21, 2014. Ready, Set, GO! 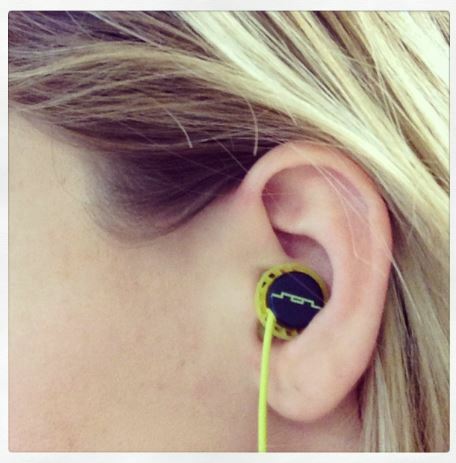 They’ve got great clarity and a nice bass for those workouts or traveling. And the shape of the ear pieces are like little buttons that fit right against your ear so they won’t fall out. I’m also a big fan of using them in the office. If you have to grab something out of your drawer or bag while on a conference call, they won’t awkwardly fall out! Not sure if that happens to you, but it happens to me all. the. time. Gym Gear: My #1 pick. This isn’t for working out at the local Palm Springs gym on your “down time” — it’s for jumping around at night when it’s a bit colder and you want to rock out without your dress flying up. Think about it, Coachella is a work out! And when the sun goes down, no one cares about your latest head-to-toe look. So, why not be comfortable and really enjoy yourself. Check out Nike for awesome printed leggings. Ear Plugs: Use them during those heavy bass shows without blocking out all the noise.My favs are the Surefire EP4 Sonic Defender Ear Protection – your ears will thank you later. Hair Powder: This is a top must-have for any and all festivals. Whether you are camping or in a hotel, you’ll need hair powder to freshen up your coif. I literally went four days without washing my hair and it still looked amaze – true story! Sunglasses: I love fashionable sunglasses, but I hate losing expensive pairs. Check out Forever 21 for sunglasses that won’t break the bank. Lotion with SPF: Stay tan without turning red by lathering up with SPF: once in the morning and afternoon. Vaseline: It gets very dry in the summer and skin cracks, especially when you are baking in the desert sun. Make sure you are ready to face the heat with some jelly. White Sharpie: Express yourself with face paint and tribal art. This pen is safe for skin and water and fade resistant. Get inspired on Pinterest here. Water Bottle: Have your water bottle in hand, in purse or tied onto your backpack at all times. You’ll want to stay hydrated 100% of the time. Love the Camelbak Groove – I use it every day. Baby Wipes: OK, this is really only for the campers. 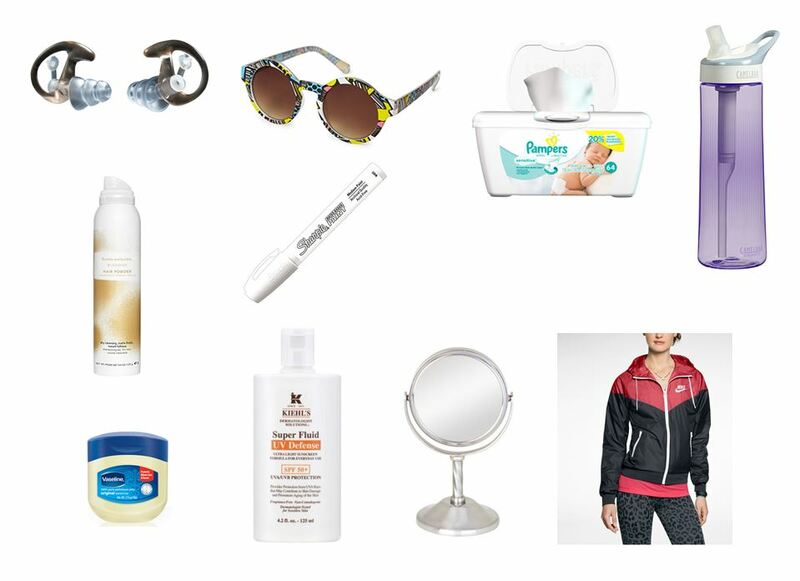 At Coachella especially, there are VERY long shower lines and sometimes you just need to make sacrifices… Use a baby wipe, some water from your water bottle and you’re good to go. For the past few years, my dear friend Scotty Liberatore has been bangin away on his MPC, pulling together old school sounds with East Coast beats. Now, I’m so proud to be able to feature his latest creation here on my blog today: East Bay Hustle.